Our guide will show you how to get five of the most powerful weapons in the Final Fantasy 15 world. So you want to make your Final Fantasy 15 characters the strongest they can be? Getting your hands on the legendary weapons make by the blacksmith Randolph will go a long way towards making your characters hit even harder. These weapons are superb, unique arms that each require you to take on a quest to get. The first thing you have to do to meet the requirements to get the five legendary weapons is to beat the game. 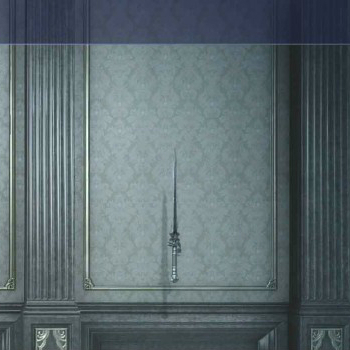 None of these weapons will be available until after you complete Chapter 15 and return to the open lands of Lucis. Once you've done that, you can begin collecting the five legendary weapons of Final Fantasy 15. 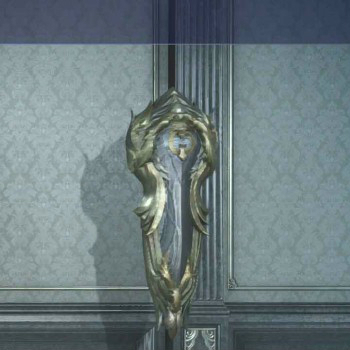 Once you've returned to Lucis after the main game, the first step in getting Randolph's legendary weapons is finding Randolph. To meet Randolph, you must go to Lestallum. Once you locate him, he'll begin sending you on a series of quests. At the end of each quest, you'll bring an item you obtain during the quest back to Randolph and he'll give you a legendary weapon. To get your hands on the 2-handed sword Iron Juke, you'll have to hunt down a very familiar avian friend. Remember the giant bird you had to sneak past in the beginning hours of the game? Well, now you're going to take it down. Bennu is level 55, which shouldn't be too much concern to you at this point. Bennu is weak to Thunder spells, so come packing the most powerful ones you can muster. There are no real tricks to this fight, just hit Bennu with Thunder, skills, and regular attacks until it goes down. Defeating Bennu will get you a Jet-Black Beak which you can take to Randolph to exchange for the Iron Juke and 8,000 EXP. Your second quest takes you to the Vesperpools in search of the Malbodoom. This one is quite a bit trickier than the fight with Bennu. You'll want to carry items that can cure status effects or equipment that negates them to protect your party from Malbodoom's Bad Breath attack. Malbodoom a level 65 beast, but if you've done some leveling you'll be on par with it pretty easily. The hardest part of this fight is that you need to stay mobile to avoid getting hit with Bad Breath consistently. Your best bet is to take advantage of Malbodoom's weakness to Blizzard magic and just stay mobile. You can keep running around and toss spells at Malbodoom and use techniques when available, and you can beat it with barely a scratch! Just make sure not to use Fire magic because Malbodoom is resistant to it. Once you beat Malbodoom, you'll get a Malboro Tentacle. 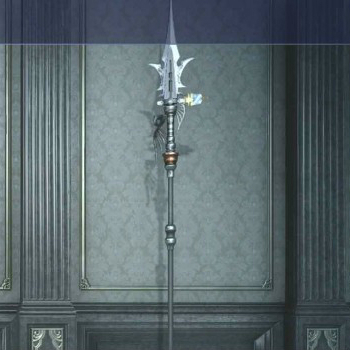 Take the Malboro Tentacle to Randolph, and he'll give you the Dragoon Lance and 10,000 EXP. Your next quest makes things even harder. You can only attempt it at night, and you're facing two very powerful foes. 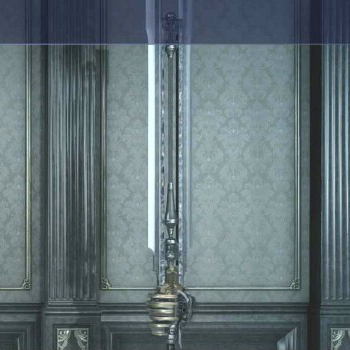 The recommended level for this quest is 75, though if you're competent in FFXV's combat system, you should be able to clear it at level 70 or so. Once you've got the quest from Randolph, you'll need to wait until night and head to The Fallgrove parking spot. Once you're there, follow the quest marker to confront the two Sir Tonberrys that are your latest foes. Sir Tonberrys hit super hard, so you'll want to avoid combat at all if possible. The best way to take down the Sir Tonberrys is to equip Noctis with the Ring of the Lucii and just spam Holy to dodge their attacks as often as possible. Eventually, you'll get the chance to summon Ramah. Just do this over and over until they go down. Once the Sir Tonberrys are defeated, you'll receive the Chef's Knife. Take the Chef's Knife back to Randolph for the shield Ziedrich. This quest recommends you be Level 85, but it's actually quite a bit easier than the last fight. Just follow the quest marker and you'll eventually come upon Phalaris. Phalaris is level 85, but you have so much room to fight it and it's so slow that it's a push over. Just use powerful attacks and dodge Phalaris' slow attacks and it'll go down in no time. Once you've taken down Phalaris you'll get the Resplendent Hollowhorn. 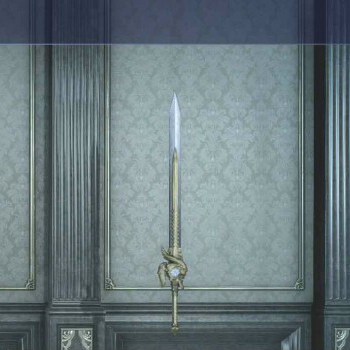 Take it back to Randolph for the legendary one-handed sword Soul Saber and 15,000 EXP. You're going to have to pay for how easy Phalaris was in this quest. Wonderous Weapon recommends you be Level 99 and it is tough. Once you get the quest from Randolph, follow the quest marker until you engage in battle with Naglfar. Naglfar is level 120 and has a ton of HP. This fight is mostly one of attrition. As long as you bring about 50 or so of the best HP-healing item you can grab and plenty of Fire magic, you can hammer on Naglfar until it goes down. Once you take down Naglfar, you'll get a Squirming Bone. Take the Squirming Bone back to Randolph, and he'll give you 20,000 EXP and the final legendary weapon, the daggers Zwill Crossblades. Check Out More of Our Final Fantasy 15 Guides! 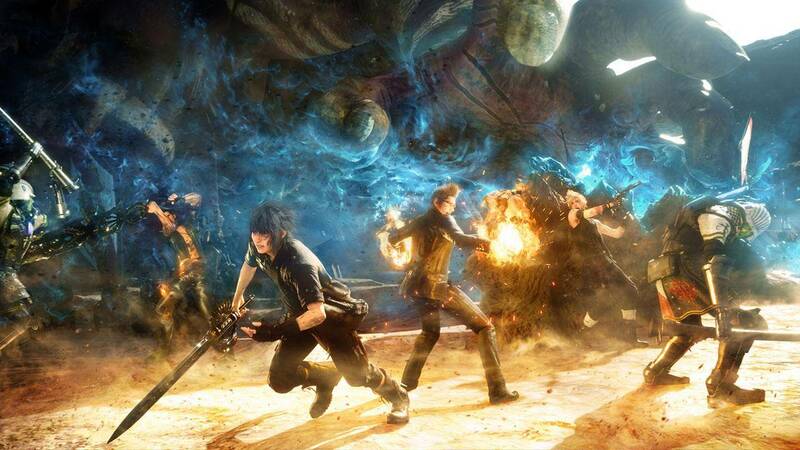 There you have it, five of the most powerful arms in Final Fantasy 15. However, they're not the most powerful. To get those and other great items you can check your Final Fantasy 15 guides section for even more tips on how to get the most out of your game!